Leigh Centurions have announced that prop Jamie Acton has put pen to a new four year contract with the club. The popular forward originally joined the club from Workington Town in November 2013. Leigh Centurions owner Derek Beaumont said: “Jamie is a no nonsense, hard working committed player. I have always admired his attitude and commitment on the field and off it. He has come a real long way as a player in how he has developed his skills and controlled his aggression without losing that physical edge. “Jamie was already contracted next year and I had received lots of enquiries for him from Super League clubs including those we regard as the best in the game. Despite the fact he, as can others, could walk away after relegation he has pledged his future to me and this Club and that is a massive statement of his belief in me to take this Club to where it belongs. “We have sorely missed Jamie on the field but his fellow players will agree with me in saying that during his time of suspension his contribution has been fully committed in every aspect. 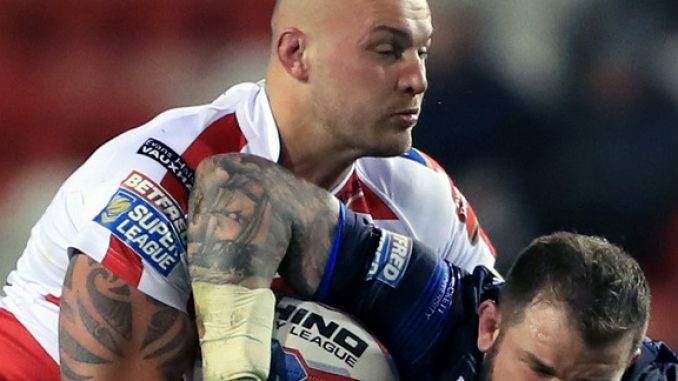 Jamie Acton said: “I am delighted to sign this long term deal with Leigh Centurions. I am really committed to the club and to Derek and so it was a no brainer for me. He scored four tries in 16 games for Leigh in 2017. Meanwhile centre Bryson Goodwin will now join Warrington after Leigh sold on his registration. The Kiwi international signed for Leigh earlier in the season but Saturday’s relegation meant that the deal could be revisited by all parties. Leigh Centurions owner Derek Beaumont said: “Once I was aware that Bryson had strong interest from a safe Super League club and would take that option should we get relegated, I took the decision to accept a very strong and lucrative offer from Warrington. “I appreciate the straight and direct way in which Simon Moran dealt with this and I acted in what I believe were the best interests of all parties even if we had stayed up. “We have alternative targets with whom we are in talks and details of any new signings, along with retention and release of any of our current squad, will be made through the normal channels as and when they take place. Goodwin joins the Wolves from South Sydney Rabbitohs and is a seasoned international with 10 New Zealand appearances to his name.